Being stuck in a car during the holiday season seems to be our lot in life! Our family lives 3 hours north of us and we have many family Christmas celebrations to attend so we are in the car and moving from place to place every weekend! I like to pack us a snack bag when travel to avoid stopping at fast food places and a new snack I’m adding to my repertoire is Crispy Green dried fruit snacks! 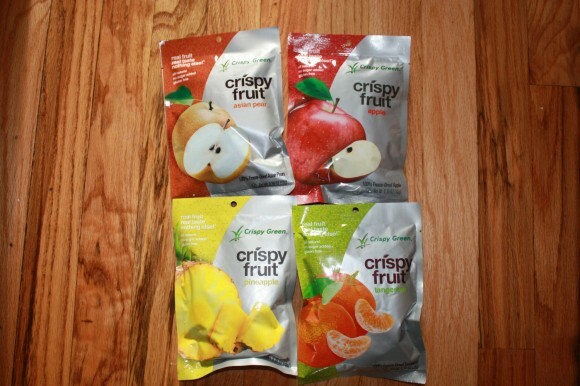 Crispy Green fruit are 100% freeze dried fruit-nothing added! No skin, additives, or preservatives-just that delicious fruit you love with 55 calories or less per bag! The flavors you can buy are: banana, mango, apple, Asian pear, cantaloupe, tangerine, and pineapple! I got to try a few flavors and they did not disappoint! I tried apple, Asian pear, tangerine, and pineapple! My favorite was the pear, it was really yummy! My kids really enjoyed them too, they thought they were fruit marshmallows due to the freeze dried texture! The bags are good sized for a snack or to pack in a lunch box. 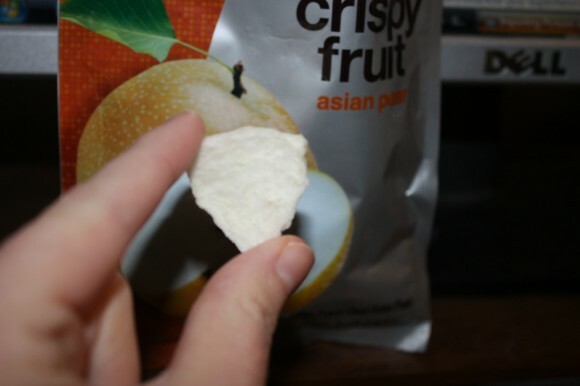 You can find Crispy Green fruits online or you can see if they are sold in a store near you! Note: I received a product for review, all opinions are my own.